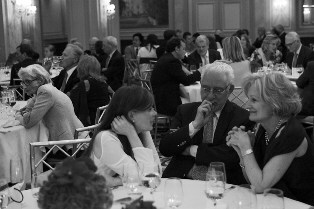 Every spring, the American Library in Paris hosts a gala dinner featuring a prominent speaker. These events are a major source of income to the Library through individual participation, program sponsorships and table sponsorships. Recent Gala speakers have included Stacy Schiff, John Irving, Michael Chabon and Ayelet Waldman, Antony Beevor, Joyce Carol Oates, Sebastian Faulks, Scott Turow, and Christopher Buckley. Join the American Library in Paris community for an evening celebrating literature and the Library’s 99 years of service. Your support for the Gala directly contributes to the Library’s vitality and success. 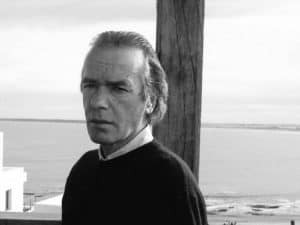 This year’s honoree and keynote speaker is renowned novelist, essayist, and cultural commentator Martin Amis. As the author of fourteen novels, several collections of short stories, two screenplays, and eight collections of nonfiction, Amis has established himself as one of the great writers of our time. Individual seats are 550€; a pair of seats is 950€. There are also table sponsorship opportunities for organizations, corporations, and individuals who wish to extend their support. Table sponsors will be invited to a separate private event with the speaker. You may view the invitation to the dinner and the reply card to reserve a sponsor table or individual seats at the dinner. Reservations and inquiries may also be made by contacting the Library’s Advancement Coordinator, Morgan Wurzburger: gala@americanlibraryinparis.org. The 2018 Annual Gala Dinner took place on Friday 8 June at The Westin Paris – Vendôme with guest of honor award-winning author Salman Rushdie. 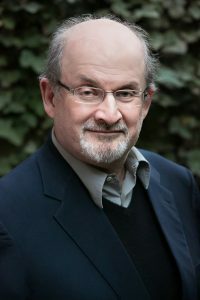 Rushdie is the author of thirteen novels including Midnight’s Children, winner of the 1981 Booker Prize and Best of the Booker in 2008, The Satanic Verses, and most recently The Golden House. 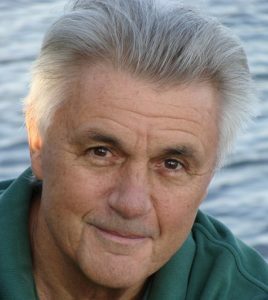 He is also the author of a book of stories, East, West, and four works of non-fiction including his memoir Joseph Anton. A member of the American Academy of Arts and Letters and a former president of American PEN, Rushdie is currently a Distinguished Writer in Residence at New York University. Salman Rushdie was knighted in 2007 for his services to literature. The 2017 Annual Gala Dinner took place on Tuesday 23 May at the Automobile Club de France with guest of honor Pulitzer Prize-winning author Stacy Schiff. 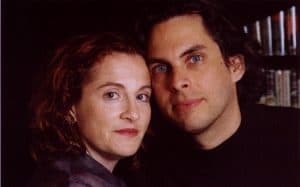 Schiff’s most recent book is the The Witches: Salem, 1692, about which historian David McCulloch says: “History in the hands of Stacy Schiff is invariably full of life, light, shadow, surprise, clarity of insight, and so it is again and then some in her latest work.” Patricia Cornwell writes: “The Witches is a must read for anyone intrigued by this baffling and horrifying chapter in America’s Puritan past. What Schiff uncovers is mesmerizing and shocking. 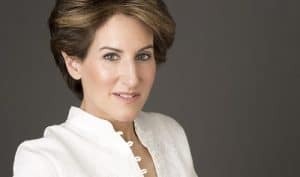 Her meticulous research and lyrical writing lay bare an injustice that we should never forget–lest we repeat it.” Here is an interview with Schiff. Stacy Schiff, dubbed by Vanity Fair as “the hottest biographer in the block,” is also the author of Véra (Mrs. Vladimir Nabokov), winner of the Pulitzer Prize; Saint-Exupéry: A Biography, a Pulitzer Prize finalist about the French aviator and writer; and A Great Improvisation: Franklin, France, and the Birth of America, winner of the George Washington Book Prize, the Ambassador Award in American Studies, and the Gilbert Chinard Prize of the Institut Français de l’Amérique. Born in 1961, Schiff is a graduate of Phillips Academy and Williams College. She has written for The New Yorker, The New York Times, and many other publications. Antony Beevor, the eminent historian of World War II, was the honoree and principal speaker at the 2014 American Library in Paris gala dinner. The 2014 Gala Dinner took place in the historic library of the Automobile Club de France on Place de La Concorde on the evening of Monday 26 May 2014. Antony Beevor’s most recent book is The Second World War, translated into more than 20 languages and a no. 1 bestseller in Britain. His other notable works include D-Day: The Battle for Normandy, winner of the Prix Henri Malherbe in France; Stalingrad, winner of the Samuel Johnson prize for nonfiction; Berlin – The Downfall 1945; Creet – The Battle and the Resistance; and Paris After the Liberation: 1944-1949, written with his wife, Artemis Cooper, the writer and historian. Beevor is also renowned as the author of the standard English-language history of the Spanish Civil War, The Battle for Spain. In addition to ten works of nonfiction, Beevor has written and published four novels. Beevor was born in London in 1946. He was educated at Winchester and Sandhurst, where he studied under the great military historian John Keegan. He served as an officer with the 11th Hussars in England and Germany for five years before resigning his commission to write full- time. He is today a visiting professor at the School of History, Classics and Archaeology at Birkbeck College, University of London. Antony Beevor and Artemis Cooper were made Chevaliers de l’Ordre des Arts et des Lettres by the French government in 1997. 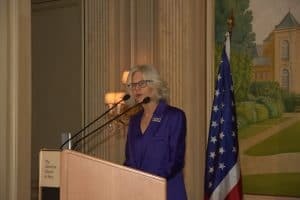 The annual gala dinner gathers 200 enthusiastic supporters of the American Library in Paris, including French and American authors, for an evening of celebrating books and libraries and the chance to hear from distinguished literary figures. Immediate past honorees at the annual gala, the Library’s principal fundraiser of the year, were: Joyce Carol Oates, Sebastian Faulks, Scott Turow, Christopher Buckley, Laurent de Brunhoff, Adam Gopnik, and Antonia Fraser. For photos from the 2014 Gala, please visit the Library on Flickr. 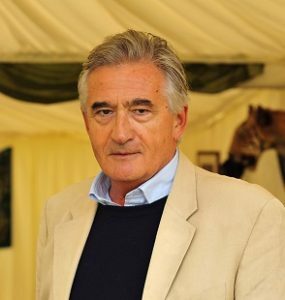 You can find more information about Antony Beevor and his writing on the Library’s Pinterest board. 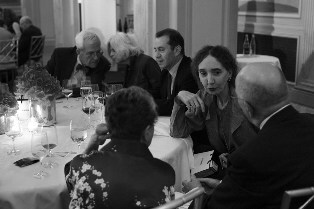 Members and friends of the American Library from Paris and beyond gathered for the 2013 Gala Dinner and the chance to hear from one of America’s leading authors, Joyce Carol Oates, the guest of honor. The gathering of 215 people at the Four Seasons Hotel George V was a contemporary record for this annual fundraiser and literary evening. You can view some images from the evening on our online photo gallery in color by Robert Tansley and photo gallery in black/white by Luis Salazar. Known for her versatility and productivity, Oates is the author of scores of novels that defy categorization, though tend to dwell in the darker shadows of the human soul. She is regularly cited as a likely American choice for the Nobel Prize in Literature. She spoke at the dinner about inspiration – what inspires the work of authors. In introducing Oates, the Library director, Charles Trueheart, quoted a passage from her latest novel, The Accursed, a tale of evil spirits besetting the town of Princeton, New Jersey, more than a century ago. A mysterious Englishman arrives in Princeton in the midst of its crisis and is described as Arthur Conan Doyle’s former roommate, whose persona as a real detective the author Conan Doyle has appropriated to create the fictional Sherlock Holmes. Board of trustees chairman Mary Lee Turner reminded the June 6 gathering of the historic resonances of the date in French-American history — not only the 69th anniversary of the allied landings in Normandy, but the 95th anniversary of the historic battle of Belleau Wood. As she noted, the Library was founded in part as a memorial to a young American volunteer and poet, Alan Seeger, known for his posthumously published wartime poem, “I Have a Rendezvous with Death.” He was killed in the war after writing the poem, and his father, Charles Seeger, was a founding member of the Library’s board. 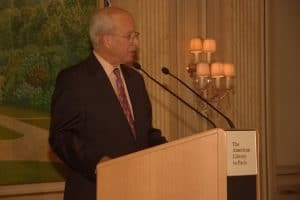 “June 6 reminds us of all the special links between America and France, and the special role that the American Library plays as an intellectual crossroads in Paris,” Turner said. Oates was joined by numerous fellow-authors, including novelist and essayist Diane Johnson, who chairs the Library’s Writers Council; William Jay Smith, the former United States poet laureate; Alice Kaplan, author of Dreaming in French; Russell Shorto, author of Descartes’ Bones; Pamela Druckerman, author of Bringing Up Bébé; Alan Riding, author of And the Music Played On; poet Henri Cole; and novelists Antoinetta Pas, Percival Everett and Danzy Senna. Librarians in attendance included Bruno Racine, president of the Bibliothèque Nationale, Winston Tabb, dean of libraries and museums at the Johns Hopkins University, and Betty Turock, professor emerita of library and information science at Rutgers University and former president of the American Library Association. A short video featuring highlights of the 2013 Gala can be viewed here. You can find many interviews and reviews about Joyce Carol Oates and her writing on the Library’s Pinterest board. As a British teenager studying in France for a year, Sebastian Faulks used to frequent the American Library in Paris, sampling the great novels. Four decades later, as the celebrated author of novels set in France through the war years, Faulks returned as the Library’s guest of honor and speaker for the 2012 Gala Dinner. 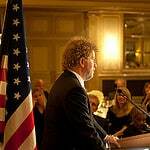 “The American Library changed my life,” Faulks declared as he began his address to nearly 200 guests. He went on to explore through personal recollections of his own novel-writing how fact is put to the uses of fiction. He emphasized the role of pure invention in the creation of his stories — as well as the crucial work of historical research — and lampooned persistent popular assumptions that fiction is essentially veiled biography or autobiography. The author of Birdsong, The Girl at the Lion d’Or, and Charlotte Grey concluded his remarks with a moving reading of the last lines of a great American novel, F. Scott Fitzgerald’s The Great Gatsby. Nearly 200 guests greeted Faulks warmly in the course of the annual soiree at the Four Seasons Hotel George V. The Library’s major fundraising event of the year also drew a number of other authors who have spoken at the Library recently. View more images from the gala on an online photo gallery. The authors included Alice Kaplan, Cullen Murphy, James Barr, Pamela Druckerman, Donald Morrison, Constance Borde, Sophie-Caroline de Margerie, and Russell Shorto (who will speak in September). Two members of the Library’s Writer’s Counil, Diane Johnson, its chairman, and former U.S. Poet Laureate William Jay Smith, were also among the guests. US Ambassador Charles Rivkin and his wife, Susan Tolson, were on hand again this year. Other special guests included the Ambassador of Ireland, Paul Kavanagh, and the president of the Bibliothèque Nationale de France, Bruno Racine. The gala program also included remarks by Charles Trueheart, director of the Library, and William D. Torchiana, outgoing chairman of the board of trustees. The director recognized Torchiana’s exemplary service as chairman since 2007. 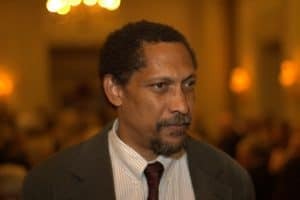 “Many can share the credit for revitalizing the American Library in recent years, but none of that could have happened without William’s leadership,” Trueheart said. The gala dinner has become an annual rendezvous for people who love the American Library, are passionate about books and reading, and like to express their enthusiasm through generous financial support. Recent gala speakers have included Christopher Buckley, Scott Turow, Adam Gopnik, Antonia Fraser, and Laurent de Brunhoff. At the end of the dinner, Trueheart announced two pieces of good news for the Library. Thanks to a generous gift from the Florence Gould Foundation, the Library will establish an annual literary prize honoring a distinguished new book about France or the French-American encounter. The prize will be administered by the Library and judged by members of the Library’s Writer’s Council. Trueheart expressed the Library’s gratitude to John and Mary Young of the Florence Gould Foundation for their generosity and renewed commitment to the Library. 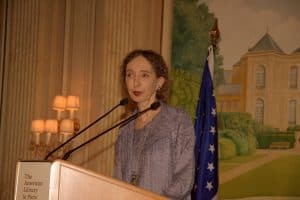 The second surprise announcement was that of the name of next year’s gala dinner speaker — Joyce Carol Oates. The American Library in Paris is grateful to the following sponsors for their generous support of the 2012 gala dinner: GRoW Annenberg, Total, Charmaine Donnelly and Gerard Pfauwadel, Shelley and Alain de Rouvray, Neil Janin, Sullivan & Cromwell LLP, and American School of Paris. Special thanks also for gifts in kind from Chanel, Vintage, Flammarion, and International Herald Tribune.